Lower costs and first-rate customer care enables Professional Co-op Services to offer a free service to the professional health care community to utilize clinical pathology in practice. PCS' services include surgical pathology, cytology and PAP testing as well as routine clinical laboratory testing. 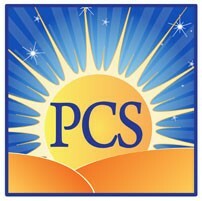 PCS guarantees your practice stable pricing and reasonable turnaround times. Since 2001, Professional Co-op Services® mission has been to provide service with integrity. The company offers efficient, convenient and affordable laboratory services to progressive practices that have uninsured, under-insured and privacy-oriented patients. Professional Co-op charges no fees of any kind and does not require minimum volumes. Standard laboratory services can be costly and that can inhibit a patient's ability to pay for adequate care. Compared to mainstream laboratory prices, Professional Co-op's fee schedule includes an extensive array of greatly discounted tests. Furthermore, with a free membership, your practice will not have to deal with a daunting amount of paperwork; Professional Co-op helps make this process simple and painless. Results for routine tests are generally provided one to three days after collection; some of the more specialized tests may take a few days longer. And their customer service department is readily available to answer any questions or concerns you or your staff may have. 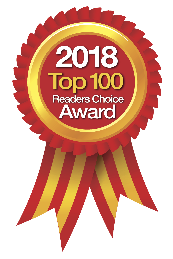 Professional Co-op's cooperative effort is a part of the modern healthcare solution a win-win scenario for healthcare providers in search of optimal patient health and fair pricing. Call, email Service@ProfessionalCo-op.com or visit www.ProfessionalCo-op.com for more information regarding the various tests and the Super Panels the company offers, as well as other helpful information on the incorporation of diagnostic lab testing into your practice. You can also find Professional Co-op Services on Facebook.